On November 16th, the end of the Twilight Saga hits the big screen, and brings closure to one of the most talked about Vampire books and shows of our lifetime. Regardless of liking or hating this phenomenon, Meyers changed the world with her view of vampires. We will be doing our review of the final movie Saturday on Tears of Crimson. We decided to prolong our review to not give spoilers away before our readers had the opportunity to watch for themselves. Meyers released her book series for a young adult audience, but it quickly became a favorite of many adults as well, even sparking off the hit book of 2012, Fifty Shades of Grey. We at Tears of Crimson are anxiously awaiting news from Stephanie Meyers on her thoughts about Breaking Dawn, and will be keeping our eyes on her website for that information. For those of you who don't know, Meyers wrote Twilight from a dream, sound familiar? Those vampires love making their way into dreams obviously since that's also how the Tears of Crimson Vampire Series started! At Tears of Crimson we are split between team Jacob and team Edward, so we are looking forward to seeing Jacob finally find happiness too. The Volturi fight scene is one we are anticipating greatly, and we can't wait to see how they pull this one off! Twilight will long live on in our minds after the final show. 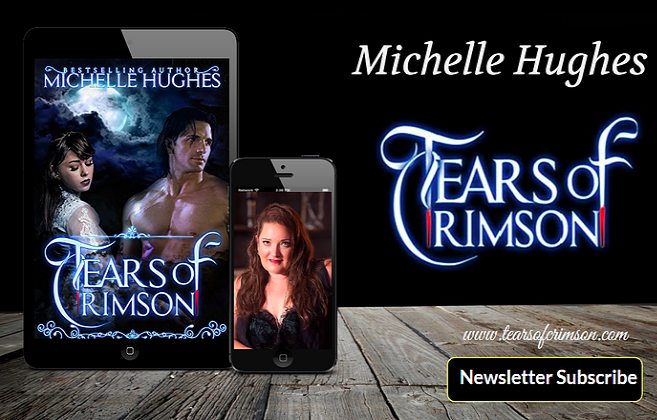 It's been an incredible adventure and from all of us at Tears of Crimson, thank you Mrs. Meyers, for giving us a glimpse into your vampire world.